Yellow & hybrid toadflax (Linaria vulgaris & Linaria vulgaris x L. dalmatica) is a perennial escaped ornamental plant that is native to the Mediterranean region. It develops an extensive root system, making control options varied. 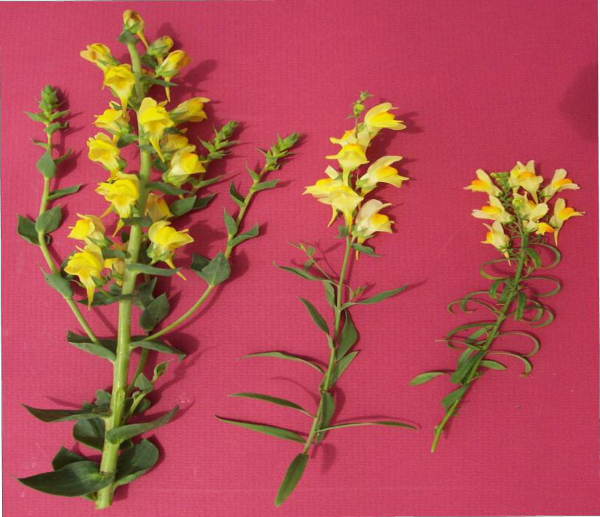 Yellow & hybrid toadflax displaces desirable plant communities reducing ecological diversity and rangeland value. 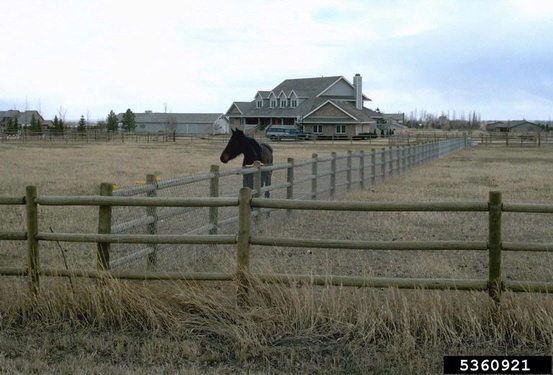 Decreases forage for domestic livestock, some big game species and decreases habitat for associated animal communities. The plant is known to be mildly poisonous to cattle. Goats and sheep have been known to graze the plants with little effect. Leaves waxy, heart-shaped, clasping stem, with multiple veins branching from base. Showy flowers 3-5 cm with pointed ventral petal and long spur, yellow, may have slightly darker yellow/orange throat, more widely spaced on stem than yellow toadflax. Plants form central crown at soil level with deep taproot. Leaves not waxy, slender, pointed, not clasping, with prominent single central vein. Flowers 2-3 cm with rounded ventral petal and shorter spur than Dalmatian toadflax, pale yellow with contrasting orange throat giving “butter and eggs” appearance, clustered on stem. Mat-like spreading growth, does not form central crown or taproot, roots form fibrous underground mass. Leaves broader than yellow toadflax but not heart-shaped or clasping, straighter edge than Dalmatian toadflax, multiple veins visible but no single central vein. Flowers yellow with orange throat, ventral petal often beak-like, flowers larger than yellow toadflax and more widely spaced on stem. Plant form is variable: may form taproot or rhizomes or both.